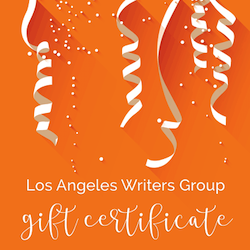 We offer a variety of workshops, including workshops with in-class creative writing prompts only (generative writing workshops), critique groups, one-day creative writing workshops, and entertainment-related workshops such as How to Pitch, How to Write a Web Series, and TV Script writing. This page specifically addresses our Creative Writing Workshops, which we also refer to as ‘Writers Groups.’ These workshops are open to writers of all experience levels and all genres. In these workshops you can bring in your work for critique from the leader and your fellow writers. We also do creative writing prompts designed to improve your skills, create new material, and encourage creativity. These workshops meet in-person, usually in a private residence. They run in eight-week cycles with a few weeks off between each session. Check our schedule page for places, dates, and locations. Most meet on a weekday evening or sometimes on weekends for 2 to 3 hours per meeting. 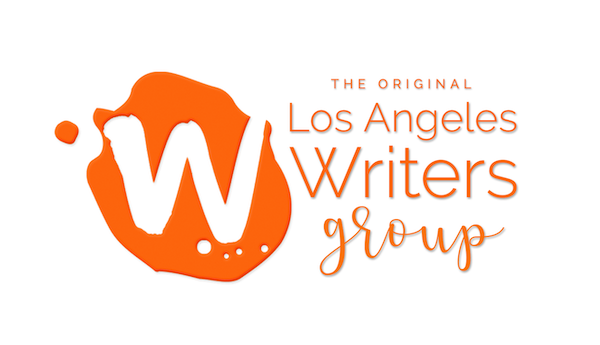 Our workshops are small, intimate groups of writers that range anywhere from 4 to 12 people. It works well regardless of group size. Our locations vary from session to session (not meeting to meeting), but we try to have each in a different part of the city for easier access. Because we hold most of our creative writing groups in private residences, and to protect the privacy of our group leaders, we do not post their addresses on our website. After you sign up, we send you an e-mail with the workshop location. What happens during each meeting? Workshops concentrate on improvisational writing exercises to encourage creativity to help you generate new material. We also provide a safe environment to read your work and to get feedback from your leader and fellow group members on any work-in-progress you choose to bring in. You will learn a great deal from the exercises as well as the feedback process. If there is a “lecture portion” of the workshop, it is always interactive and geared toward the participants’ needs and goals. Each meeting begins with 2 – 3 improvisational writing prompts, each range from 5 minutes to 20 minutes long. The amount of time accorded to exercises vs. critique may vary depending upon how much material group members submit. The group is a commitment, to yourself and your fellow members. You are strongly encouraged to attend all 8 sessions to achieve maximum benefit for you and for your fellow members. Like anything, you will gain as much from the group as you put into it. The leaders who run each group are skilled in supporting other writers and in providing constructive feedback across multiple genres to help you improve your story and your prose. This is why our groups are open to all writers regardless of skill level or genre they write. These kinds of group leaders are not easy to find. Whether you are a poet, screenwriter, memoirist, or a fiction or non-fiction writer, you are welcome at our groups. We screen and pay our group leaders and only hire those who have the kind of supportive passion and experience our groups require. Read more about how we select our leaders. These groups are open to writers of all kinds and levels. We’ve had brand new writers sitting in the same group as advanced writers. We’ve had poets sitting next to comedy writers sitting next to screenwriters. It works well for everyone, because the point is to create new work and get feedback on what you bring in. The leader is there to help with feedback on works in progress, as are your group members. Whether you write poetry, essays, fiction, screenplays or whatever, you are welcome to join. We only ask that you have a passion for writing and are ready to show up every week and create new material! Our workshops are not appropriate for kids but we do recommend checking out www.826LA.org for classes oriented toward younger creatives. Want to know what some of our group members have to say about our groups? Read our testimonials.